On Sunday May 26th, the Rotary Club of St. Vincent conducted a Village Doctor outreach program for the rural communities in the northernmost part of St. Vincent. 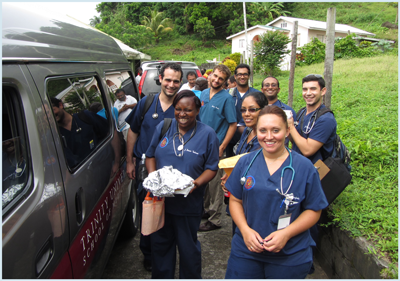 A team of Trinity School of Medicine fifth term student volunteers alongside Trinity Faculty MDs joined the Rotary Medical Team and set up office at Fancy (an area of St. Vincent) Government School. Updates to the Admissions Interview Schedule with new dates having been added in May, June and July 2013.